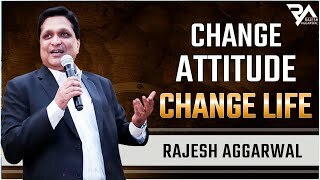 Success Depends more on Attitude rather than Talent - says Rajesh Aggarwal who is known as Public Speaking Coach & Motivational Speaker. He is working in the field of Skill Development & Motivational training since 1994. Business Today magazine has referred him as Dr. Destiny. His Youtube channel has more than 94,000 subscribers & over 65,00,000 plus viewers worldwide. Every year he is invited by many institutions to speak on topics like : Break the Comfort Zone , Touch the Excellence , Change Attitude - Change Life, Art of Public Speaking & People Handling Skill. Till now he has delivered his seminars in more than 85 cities in India, Nepal, Thailand & America. 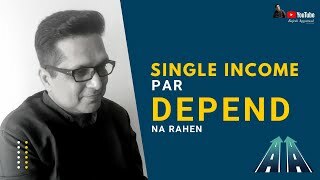 Rajesh has written two books on Personal Development. His company's name is Rebirth Academy where he groom's individual to become Entrepreneur, Leader & Speaker. RAJESH AGGARWAL channel is new to VideoAmigo. Select from the following topics where RAJESH AGGARWAL is classified. A channel's spider chart is made up of 12 data points. This spider chart demonstrates how RAJESH AGGARWAL performs against each of the 12 data points. 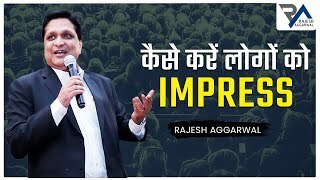 The teal line represents RAJESH AGGARWAL, and the black line represents the average performance for the 1,224 channels in the Speeches, Thought Leaders, Futurists topic. Total Views: This channel's Total Views of 8,928,559 is 27.05% higher than the topic average of 7,027,572. All activity starts with views. The more there are, the more opportunity there is to grow by engaging viewers. View Growth: This channel's View Growth of 7.85% is 160.72% higher than the topic average of 3.01%. All activity starts with views. The more there are, the more opportunity there is to grow by engaging viewers. 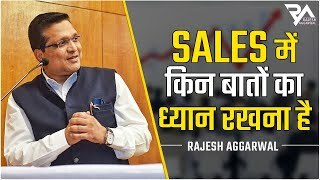 What category is RAJESH AGGARWAL in?